As gardeners, we want the best soil we can muster, right? 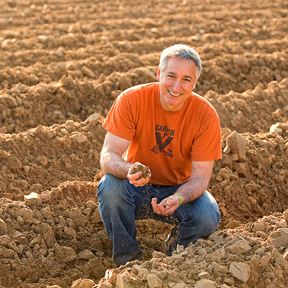 We strive for the best nutrient-rich, full-of-microbes, earthy-smelling soil we can provide for our plants. That’s the goal. And we know that adding compost to our garden is an excellent way to get that. But…if you’ve never done it before, starting a compost pile can feel a little bit intimidating. Have you ever researched how to do it? If you do, you’ll probably find some well-intended articles full of overly complicated formulas and lots of rules. Listen, it doesn’t have to be that hard! Composting is a natural process. It will happen if you do nothing more than throw a bunch of garden debris in a pile. But understanding the process and knowing just a few simple steps you can take to catapult that process into something amazing…well, that shoots you to a whole new level as a gardener. 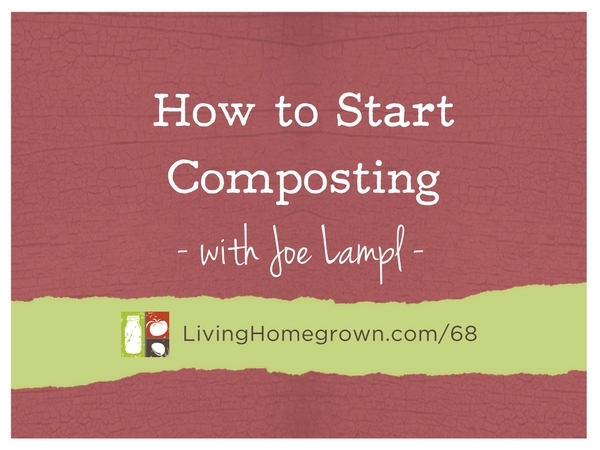 So to give you the full scoop of how EASY it is to compost and to give you the tools you need to take it to the next level, I decided to invite my friend Joe Lamp’l (host and creator of our Growing A Greener World TV show) onto the podcast. You see, Joe loves compost. And he can talk about it ALL. DAY. LONG. I think you’ll learn a lot about the topic – especially how easy it is to start. Also at the beginning of the interview, I have Joe share about the changes we are making to the TV gardening series which will make it even better next year. You can listen or read the full transcript below. Plus I have put together a free PDF Composting Cheat Sheet below that lists “input” ideas for brown and greens in your compost pile. As one of the country’s most recognized and trusted personalities in gardening and sustainability, Joe Lamp’l has a passion for living a greener life. I am the Co-Executive producer of Joe’s PBS garden series, Growing a Greener World. And Joe is the creator, host and Executive producer of that television show. Joe may also be familiar to you because he was the TV host of Fresh from the Garden on DIY Network and he hosted the show GardenSMART. Joe also shares his know-how on NBC’s TODAY SHOW, ABC’s Good Morning America, The Weather Channel and through his books, podcast series, nationally syndicated newspaper column and more. On this week’s episode, I have Joe share his knowledge of backyard composting. And he drills down the science into simple action steps. If you are just getting started in composting, you may wonder exactly WHAT you can add. Well, I created a little compost cheat sheet for you. It lists ideas for both “browns” and “greens” that you may have in your home that can be added to your compost pile. Just click the box below to get access to the PDF download.